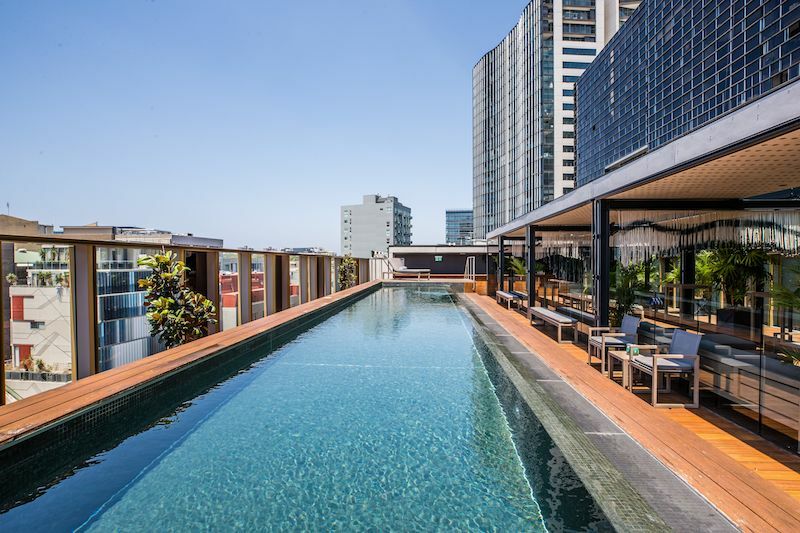 Creative cocktails, inner-city views and a glistening pool are the just start of what you can expect at The Old Clare Rooftop Pool Bar. If we can be certain of one thing, it’s that Sydneysiders love a rooftop bar. So much so that we revealed our city’s 30 best rooftop bars. One to now include this esteemed list is The Old Clare Rooftop Pool and Bar. Resting atop Chippendale’s boutique hotel, The Old Clare Hotel, the glistening rooftop bar has been decommissioned for the last two years due to issues related to noise restrictions. Now after months of red tape, the rooftop bar has reopened and ready for business, perfectly timed with the current summer vibes. Take the lift up to the rooftop level and the first thing you’ll notice is the 14-metre lap pool. Running the length of the bar, the pool is unfortunately still only available to hotel guests. 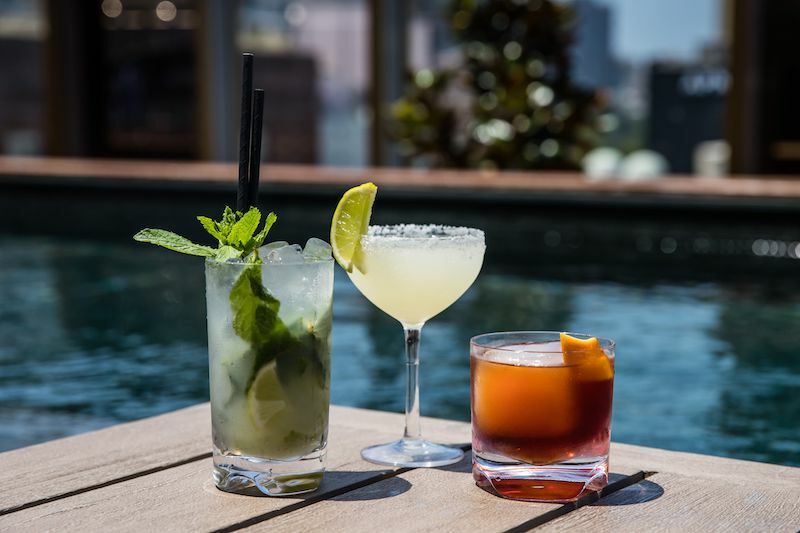 That being said, lovers of a rooftop space can still freely enjoy the spoils of the bar, views of Sydney’s inner city providing the perfect backdrop to an afternoon drinks session. As for the all important food and drinks offering, Chef Darryl Martin from Old Clare Restaurant Barzaari is at the helm. You’ll find a distinctively eastern-Mediterranean menu, an array of snack-sized bites on offer to whet your appetite. 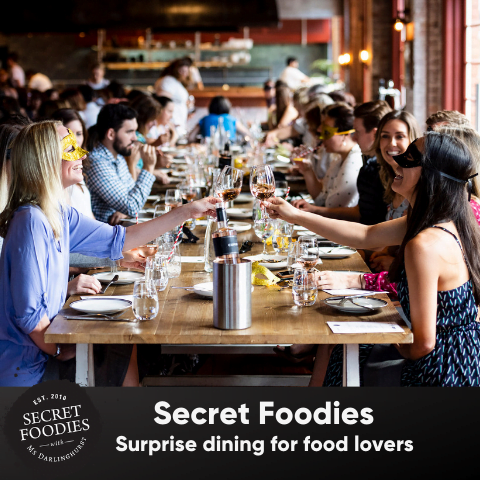 Expect the likes of harissa coated chicken wings, school prawns with falafel, pita pizzas, cheese plates and more. 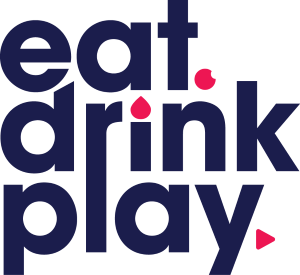 Cocktail lovers will enjoy a range of seasonal and creative concoctions, some beverages taking their inspiration from the distinctive flavours of the eastern-Mediterranean. Order the Rosey All Day ($18) made with Triennes rosé, Lillet blanc, Papaya shrub and Prosecco or perhaps The Pain Killer ($18 Glass, $21 Coconut) shaken and stirred with Calle 23 Blanco Tequila, Coco Lopez, Pineapple, and Maraschino. Classic cocktails include crowd pleasing Mojito ($19), Tom Collins ($19), Margarita ($20) and more. The Old Clare Rooftop Bar is open Wednesday & Thursday – 3pm-9:30pm, Friday-Sunday – 12pm – 9:30pm. For more information, you can check out The Old Clare’s official website here.